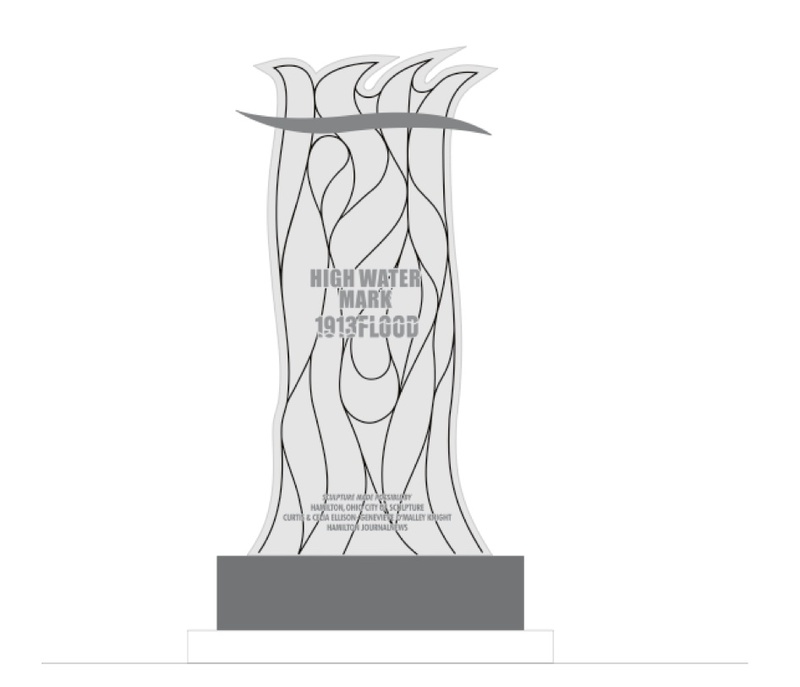 To commemorate the recent anniversary of the 1913 Great Miami River Flood, the city of Hamilton, Ohio invites you to attend the unveiling of a centennial sculpture, marking the record flood levels of one hundred years ago. 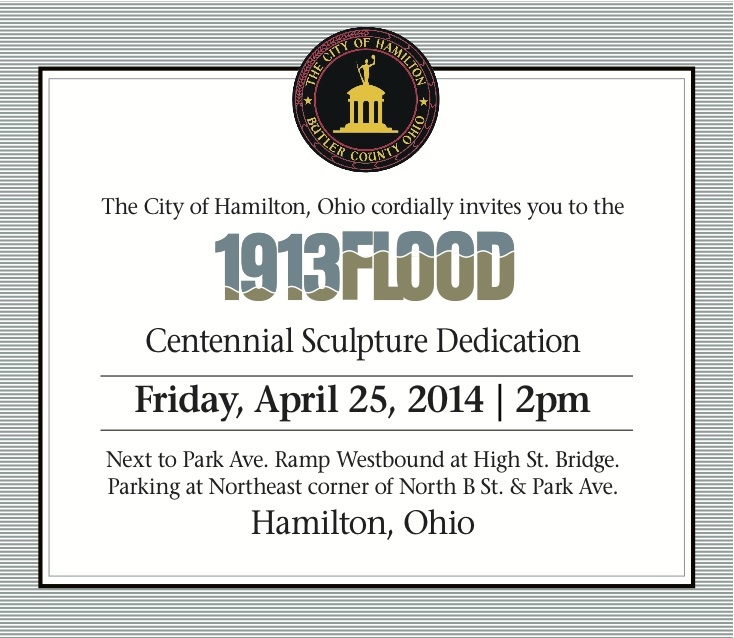 This free public event will be held Friday, April 25, 2014 at 2 pm next to Park Ave. Ramp Westbound at High St. Bridge. Parking is available at Northeast corner of North B St. and Park Ave.